Location: Magham Down, East Sussex. OS Explorer Map 123, 'Eastbourne & Beachy Head, Newhaven, Seaford, Hailsham & Heathfield'. Starting GPS Co-ordinates: N50 88' 50" E000 39' 40"
Finishing GPS Co-ordinates: N50 89' 00" E000 30' 60"
Squirrel Lane doesn't look particularly exciting on the OS map, but don't let that fool you! It's actually one of the better greenlanes in the area. A lane of a decent length, and remarkably straight, we elected to drive it from its western end in Magham Down. 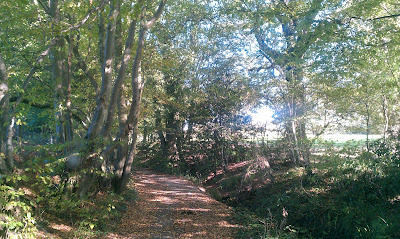 On a surface of gravel and earth the lane leaves Old Road on a sharp bend to the east. Heading in a north-easterly direction, the lane is initially nothing special, just a nice wide farm track passing by orchards and a farm yard. Indeed, the foliage never encroaches onto the lane at any point. It continues in this way until reaching the very pleasant Squirrel Wood, marked by a change in the surface to bare earth and leaf mould with some unbelievably large pot holes! I may have slightly bent my steering guard in one of them, and I was going at a crawl! We drove the lane when it was bone dry too; heaven forbid when they're full of water. They're pretty hard to straddle and impossible to bypass so, needless to say, take care. Unfortunately there has possibly been some illegal off-roading in the wood itself: some deep ruts have appeared to the east of the track. DON'T DO IT, no excuses. 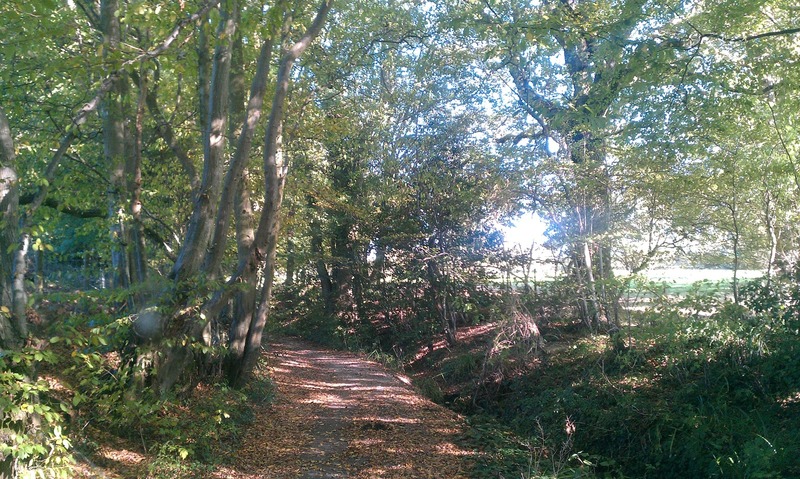 Heading initially downhill into the wood (with some VERY 'posh' tweed-and-wax-jacket-wearing folk looking on disapprovingly from atop a bank) the lane turns slightly to the east and begins a climb uphill over an old, narrow brick-built bridge (so choose your track carefully). Ascending out of the wood, the lane ends with a sharp right turn outside a cottage imaginatively called 'The Old Farm House' into the hamlet of Ginger's Green. A very pleasant drive through lovely woodland, it'd have scored a 5 if it wasn't for the 'boring' start!